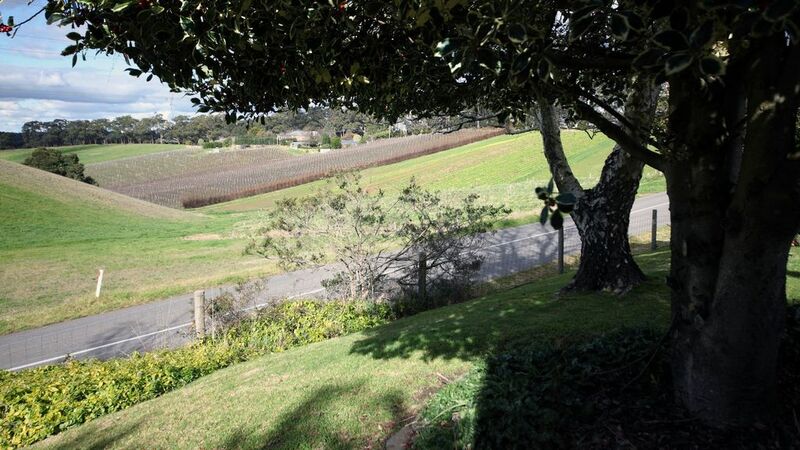 Heysen Hideaway is a quiet, self-contained 3 bedroom cottage with views over the Adelaide Hills. Located on the Heysen and Yurrebilla Trails, it is perfect for walking enthusiasts. Cycling trails for both road and mountain bikes are also within close proximity to the cottage. If culinary experiences are more to your taste, you will be spoiled for choice with wineries, microbreweries, distilleries, cheese and chocolate producers, fruit picking, roadside produce stalls, country pubs and delicious cafes all within a short walk or drive. In such a stunning setting, it is easy to forget you are only 20 minutes from the centre of Adelaide. Ideal for up to 3 couples or equally suitable for a family getaway, the cottage contains a large kitchen with full cooking facilities and an adjoining dining table that seats up to eight people. Breakfast provisions are left ready for your first two mornings with additional days provisions available on request. Tea, coffee pods, milk and a sampling of local goodies are also supplied. Two comfortable living areas provide ample seating and both contain a TV, one with DVD player. The three bedrooms comprise a king bed, queen bed and super king bed or two king single beds. The bedroom with the super king/king singles is accessed via the queen bedroom. Heated by a combustion wood heater and two split system units for heating and cooling, the cottage is comfortable all year round. For those that like a toasty warm bed to snuggle into, each bed also has an electric blanket. The bathroom contains a bath and separate walk in shower with hairdryer provided. A washing machine, ironing facilities, clothes airer and additional bar fridge are located in the laundry and available for your use. Games, DVDs, toys and a highchair are permanently located in the cottage with a cot available on request. Outside there are two sheltered courtyards overlooking the mature gardens, outdoor table setting, BBQ, cubby house, clothesline and ample off-street parking. Heysen Hideaway dates from the 1860’s and pre-dates the township of Summertown itself. It is the last of three cottages built to accommodate the market gardeners who produced fruit and vegetables for the expanding new city of Adelaide. Built from local materials, the walls are constructed of a combination of creek stones and mud. The window frames and ceilings in the old part of the cottage are original with a sympathetic extension being added to the rear of the cottage in the 1970’s. Whilst so much of the cottage is original, the rooms are light, bright, warm and quiet – the perfect location for a home away from home. This is one of the best holiday homes we have ever stayed in ... and there have been quite a few. It was beautifully presented, the local produce that was supplied was wonderful, gorgeous country garden. It was a cosy, relaxing cottage and I would love to stay here again the next time we visit the Adelaide Hills.